Peter Souter, the chairman of TBWA\London, is remaining in the role despite the impending arrival of a new management team. Souter, who is a former executive creative director at Abbott Mead Vickers BBDO, joined the agency as chairman and chief creative officer of TBWA\UK in 2012. Multiple sources told Campaign Souter would be relinquishing his role as chairman of TBWA\London to focus on his position as global creative director, working on new business, creative training and development and a number of key international accounts. However, TBWA\Worldwide denied that was the case. Speculation about Souter's position at the London agency followed TBWA\London hiring Saatchi & Saatchi's Andy Jex and MullenLowe London's Anna Vogt as chief creative officer and chief strategy officer respectively, as well as the network's investment in Lucky Generals. Troy Ruhanen, president and chief executive of TBWA\Worldwide, said: "In periods of transition, people assume many things. But to be clear, Peter Souter continues in his role as chairman, TBWA\London, in addition to working with me and [global creative president and chief creative officer] Chris Garbutt as a global creative director. "His efforts today are primarily in his global role, working on key global and European accounts, new business and training and development programs, where he has been a fantastic asset to our collective. "As chairman, he'll be a source of counsel and guidance for Andy Jex and Anna Vogt as they step into their leadership roles for TBWA\London." Jex and Vogt’s appointments follow the departure of executive creative director Graeme Douglas in January and chief strategy officer Amelia Torode’s exit ahead of the Lucky Generals deal in February. The agency is currently looking for a new chief executive to replace Richard Stanier. 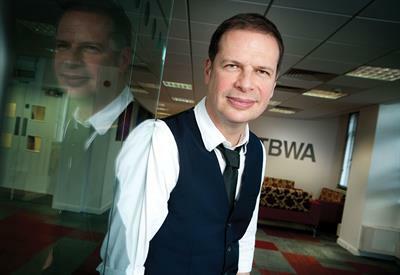 Brian Swords, the managing director of TBWA\London, said: "We're lucky to have Peter in London and we tap into his expertise from time to time just like other offices in the network." TBWA\Worldwide bought a majority stake in Lucky Generals in February and the two agencies now sit alongside each other in a new TBWA\UK group. Lucky Generals' founders Helen Calcraft, Andy Nairn and Danny Brooke-Taylor led the hunt for TBWA\London’s new management team. Ruhanen said: "Further, the collaboration between Lucky Generals and TBWA is incredibly positive and constructive, and the relationship between Helen, Andy and Danny and Peter is not only a lengthy one but also a healthy and respected one. "I'm feeling incredibly optimistic about our strategy in the UK and look forward to seeing more notable wins and new talent coming on board in the months ahead." Adam Stagliano, a former chief strategy officer of TBWA\London and one of Souter’s cohorts, is now a global brand leader at the agency working exclusively on global accounts such as Datsun and Pernod Ricard.